Woodland Hills Urgent Care is a primary care office staffed by the mother and son team of Dr Sofia and Dr Boris Vaisman. 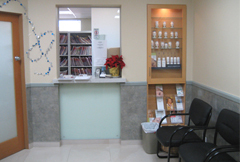 The office provides high quality, convenient, compassionate and comprehensive primary and preventative care. Appointments are scheduled from 9-4:30 Mon-Friday, with walk in hours for more urgent needs from 9-11 AM and 2-4 PM Mon-Friday. 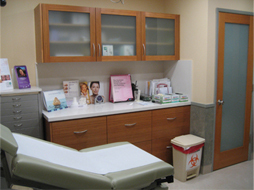 The Family Medicine office of Dr. Boris Vaisman and Dr. Sofia Vaisman is where patients will find well trained physicians that care about the patients and take the time that might not be taken in other family practice offices. Families and individuals will find continuing and comprehensive health care from adolescent to the older adult. Dr. Vaisman is experienced in the practice of industrial, family, sports ands integrative medicine. He stresses preventative medicine and healthy life choices. In addition to traditional medical care, Dr. Vaisman welcomes the opportunity to review meal plans, exercise regiments and vitamin and supplement lists to evaluate for safety features and health care needs. Members of the staff are Fluent in English, Russian, Spanish and Farsi. Boris Vaisman M.D. is the CEO and founder of the Doctor V Corporation. He is a graduate of the Ross University School of Medicine. Dr. Vaisman is board certified in Family medicine, a clinical faculty member of Touro University and an associate Medical Director of Tender Loving Care Hospice. You may find Dr. Vaisman making occasional appearances on the "Welcome to the Mommyhood" radio show and the "Keeping up with the Kardashians" TV show on E!